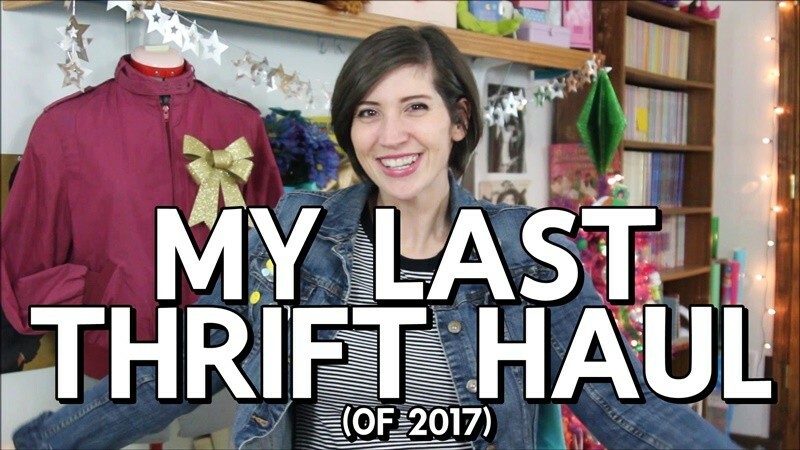 It’s my last thrift haul video of the year! Don’t be sad it’s over, be glad that it happened! I wanted to make sure that my last thrift haul video of the year was something special so I filled it with good vibes, my favorite December thrift find (see all 2017 thrifted favorites here), and clothes that are too-too cute! Watch it below for all the fun. If you liked what you saw in this post, it would mean a lot to me if you Pinned it or passed it to your friends. Sharing is caring!